Pride flight: Virgin Atlantic has launched its first Pride Flight to coincide with WorldPride 2019, which is taking place in NYC in 2018. 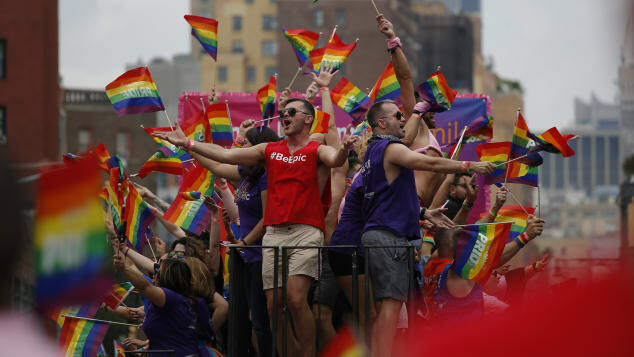 (CNN) — Already planning your trip to WorldPride 2019 in New York City? You’re in luck — so is Virgin Atlantic. The one-off flight is as much a celebration of queer culture as it is a mode of transport. Broadway star Tituss Burgess, known for his role in Netflix show “Unbreakable Kimmy Schmidt,” will oversee proceedings and the six-hour flight will be packed full of live performances and appearances from special guests. The flight will be entirely staffed by LGBT pilots, officers and cabin crew. 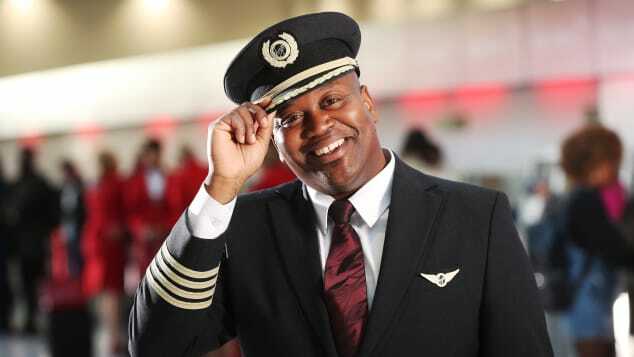 Virgin Atlantic is planning its first Pride Flight, hosted by Netflix star Tituss Burgess. Once you’re on board, it’ll be a blast — entertainment will include a DJ, Judy Garland singalong, on-board speed dating and Drag-Queen Bingo. All the celebrations will be overseen by Burgess in his inimitable style. “At a time when we’re seeing the rights of minority groups under threat, it is more important than ever we stand up and make our voices heard,” says Burgess. The flight will be staffed by LGBT pilots, officers and cabin crew. Next year will mark the 50th anniversary of this historic event and New York City is planning a joint Stonewall 50/WorldPride event. Officials reckon the celebrations will attract visitors from around the world. “As a City founded on diversity, inclusivity and a welcoming spirit, we’re extremely pleased to host World Pride 2019 — the first time the big event will be held in the United States, while at the same time marking the 50th anniversary of the Stonewall Uprising,” says Fred Dixon, President and CEO of NYC & Company — the city’s official marketing organization. United and Delta were also listed in Human Rights Campaign’s (HRC) 2018 list of the “Best Places To Work” in the airline industry for LGBT employees. Also mentioned were Alaska Airlines, American Airlines, JetBlue and Southwest Airlines. In the past, Virgin Atlantic has sponsored Pride in London and employees in uniforms have marched in Pride Parades. The airline also became the first company in India to feature a LGBT couple in its advertising earlier in 2018. “We take our commitments to diversity and inclusion seriously, but you can rest assured we have a lot of fun along the way. This is going to be a show-stopping, ground-breaking, one-of-a-kind experience that we can’t wait to bring to the skies next June,” says Mark Anderson, Global LGBT Lead for Virgin Group and Executive Vice President at Virgin Atlantic. The flight will depart from London Heathrow to NYC’s Newark airport on Friday June 28, 2019 — with a flexible return date on offer — and you can grab an Economy Light ticket from £380 ($500). There’s also the option to buy a three-night Virgin Holidays package from £699 ($920).